Phoenix Dance Theatre would have been hard-pressed to choose a more topical subject for their latest dance tour than the Windrush. Commemorating the 70th anniversary of the ship Windrush, which brought the first wave of Caribbean migrants to the UK, it also happens to coincide with a national scandal regarding the fates of some of those people all these decades later. But Phoenix artistic director Sharon Watson's piece is anything but depressing. Bursting with the joy of life from the beginning, she captures in dance the hopes, dreams and aspirations of a group of people prepared to leave their home country and build a new life in another land. In the opening scenes, we see their lives and the lives they are choosing to leave behind. There's a sense of anticipation but also of loss which is symbolised in one couple where the man boards the ship leaving his pregnant girlfriend behind. Once in the UK, the sunshine is replaced by fog and there's a sense of discouragement. This is emphasised by the masked housewives who tut-tut at the new arrivals. And this soon descends into open racism as we hear Enoch Powell speaking and are reminded of the scandalous 'No Irish, no dogs, no blacks' signs. But there's also a curiosity and the two sides gradually come together until the piece finishes with a joyous dance with all ten cast members meeting as equals. And so while Watson's 55-minute piece does not shy away from the controversy and the problems faced by the migrants, it ends on a burst of hope and optimism that differences can be forgotten and people can simply accept each other. The score, created by Christella Litras, is a mix of new composition and pop songs including Seal, Jocelyn Brown and Jim Reeves. Windrush is performed in a mixed bill with Christopher Bruce's ten-minute work Shadows and Sandrine Monin's 20-minute piece Calyx. Monin's work is inspired by French poet Baudelaire's Les Fleurs du Mal and sees dancers coming together and separating in a sensuous blend of entwined bodies with a touch of humour to a score by Roberto Rusconi. In Shadows, set to music by Arvo Part, a group of four characters sit around a family table but break out to create their own individuality through movement. The cast of dancers make the effort-full look effortless and can easily move from the angular sexuality of Monin to the fun-filled Windrush. 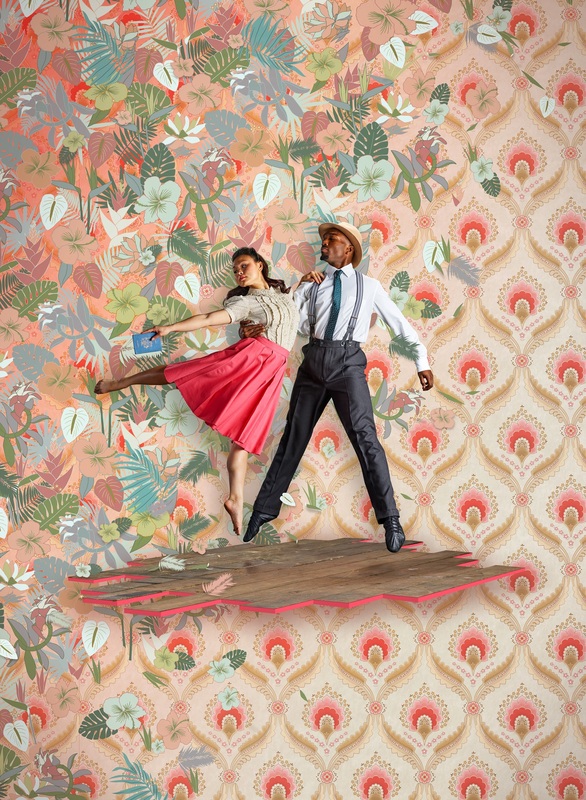 Windrush sold out at Birmingham's mac for both performances and it also launched the arts centre's Beyond Windrush summer celebration of art, music, photography, workshops and dance - all focussing on the impact and experience of migration.